This is what we do. We sleep, breath and talk property management. Jim Eagan wrote a book on property management (A Fistful of Properties) and is often hired by other companies to consult in their operations. Long Term Rentals (1 year leases) – We charge $100 to set up your property and 8% per month to manage it. We recommend that you pay out a commission to the first agent who finds a qualified tenant for your property. That “Bounty” to other agents ranges from $200-$500 depending on the size of the property. This is the most common and well known for property management. Short Term Rentals (30 days or less) – We charge $500 to start up and 8% of the gross income website fees. This includes marketing, scheduling, walkthroughs and managing repairs or cleaning. Cleaning ranges depending on guests. Tenant Placement – For locals who manage their own property we charge $700 to place a tenant. Locals who hire us just to find them tenants want to handle their own collections and maintenance. We do the marketing, advertising, screening, and lease generation. $300 of that $700 will go to the agent who finds your tenant (usually someone outside our company). This is only available for locals. Bounties / Commissions – $200 – $500 depending on the rent. This goes to the agent who finds your tenant and you determine this amount. That commission is typically paid to someone outside of our company. Commissions for a 3 bed/2 bath house are usually about $300. More stuff you should know…. Non Exclusive – No long term contracts. You can leave at any time. If you don’t like us, you can leave with no penalties or questions. The purpose of the contract is to nail down terms and state specifically who is paying for what. If you decide you don’t like our services, we will let you out with zero penalties or hassles. Life is too short to be shackled to a disappointed customer. Rave Reviews – We are constantly improving our systems and offering better services. Our Yelp reviews say it all but that’s just the tip of the iceberg. Great property management company, I have been able to be more hands off than I have ever been in my years of holding rentals. Plus they are experienced in handling lease options, my other area of investing interest. I have been investing in Las Vegas since 2010. Residing in California and being a long distance investor I needed somebody reliable and responsible. My first 2 agents were nowhere near my expectations then I met Jim, he turned out to be honest, responsive, thorough and more. With him, your emails, messages and phone calls will be returned promptly sometimes within minutes. He is a great property manager to work with. I recommend him immensely. Jim and Limestone Investments have been my go-to Las Vegas real estate team for the past 3 years. They have helped me scout properties and identify profitable deals (I have two houses they helped me buy, and they currently also manage them for me). Jim has several decades’ worth of experience in the Vegas market. His approach is conservative, and he’ll be the first to let you know what is realistic. His Limestone team are quick to respond to any questions or issues. 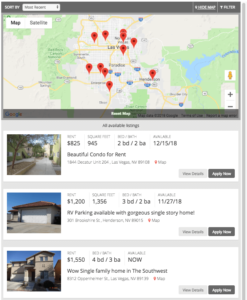 As one-stop shopping for investment properties (or anything else related to the Vegas market), they are a STRONG RECOMMEND. Fast Customer Service – Multiple phone numbers for emergencies 24×7. We have hundreds of vendors in our data base for quick response. Our vendors are coordinated via the web for accurate information. Our maintenance processes is complete and starts with an automatic call log. Decades Of Experience – Since 1997, our broker has been managing residential, multi family and commercial properties. He has had a general contractor license, wrote a book on property management and has taken properties from being boarded up to 100% occupancy. Quick Tenant Placement – Our hungry agents are commission only. Unlike our salaried competitors, we don’t eat unless we find you a tenant. Our online applications are tied into the MLS, Craigslist, Realtor.com and over 50 websites. Your property will have video, photos and a super easy application for tenants to fill out online. We keep those application fees low so we can get as many prospects as possible. Tenants Pay Or Leave – Tenants can pay online, at 7-Elevens or any CVS pharmacy. If tenants don’t pay, they leave. “Elegant Departures” are the most common form of evictions as “Lock Outs” are used as a last resort. Court appearances are no problem. We eat lawyers for breakfast. This page describes our eviction processes. Direct Deposits – You receive your money on the 15th of the month electronically. 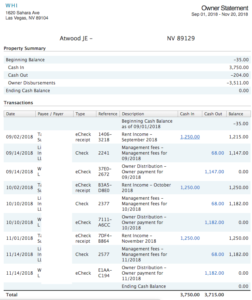 Owners and tenants can login to a tenant portal to see monthly statements. Annual Inspections – Every year you will get report detailing what we have found at the unit and repairs if necessary. Multiple Licensed Managers – We have bi-lingual leasing agents to assist those who speak Spanish. Transparent Accounting – Your monthly statements show you exactly where funds go and for what reason. Our bank accounts are monitored by the Real Estate Division. 1099s – At the end of the year you will get a financial report that includes your P&L statement and your 1099. HOA Love Letters – We get love letter from an HOA nearly daily. No worries, we take care of those for you. Tenants either correct the issue or we correct the problem and bill the tenant.